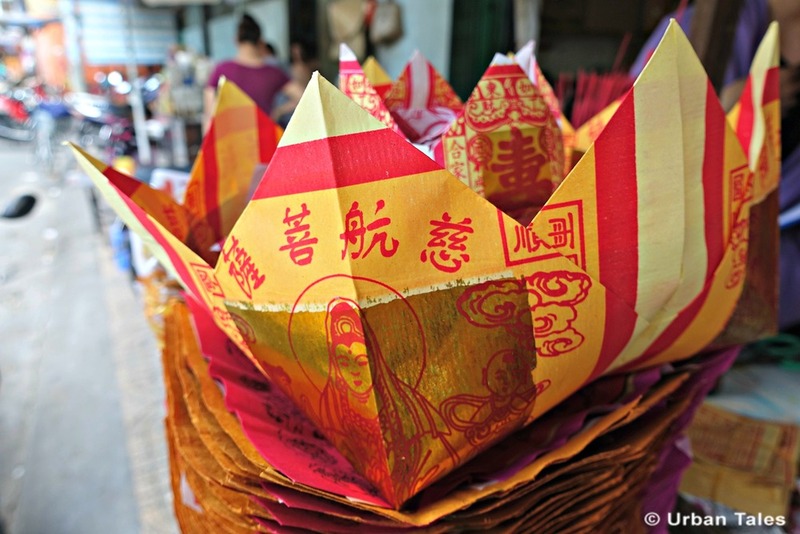 Burning votive papers in Vietnam is one of the most longstanding traditions that came from China. 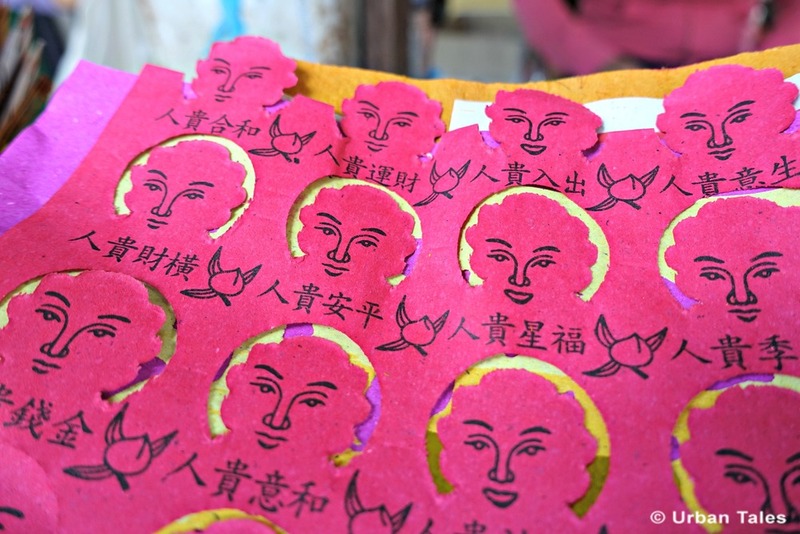 It is deeply rooted in the habits of most Vietnamese people and that’s why one can easily find votive paper shops anywhere in Vietnam. Did you know that back in ancient times in Vietnam, when a man died, his widow was also killed and cremated so that he might have a wife in the “next world”… ? Thankfully, Confucius prohibited this custom and people started to use and burn paper-made objects instead (burning a paper-made bride does seem less gruesome doesn’t it?). 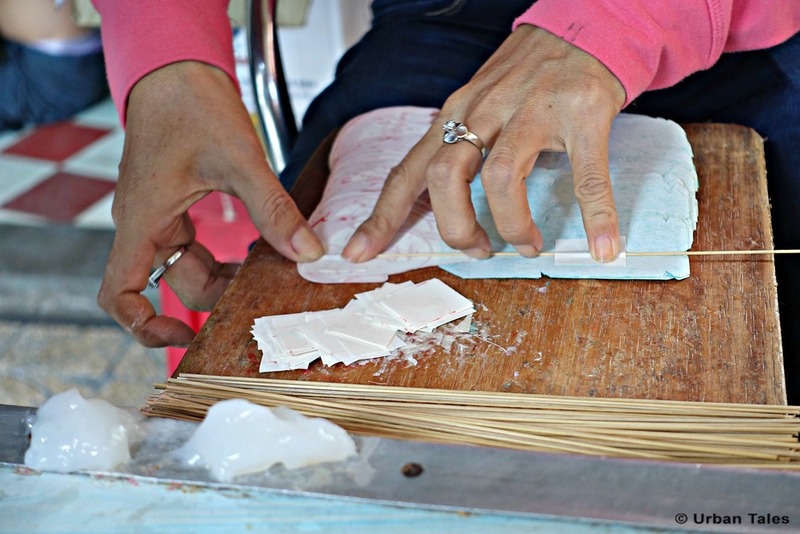 Vietnamese families practice the custom of burning votive papers for a wide variety of occasions and reasons. One of the main reasons is to complete religious or superstitious purposes. 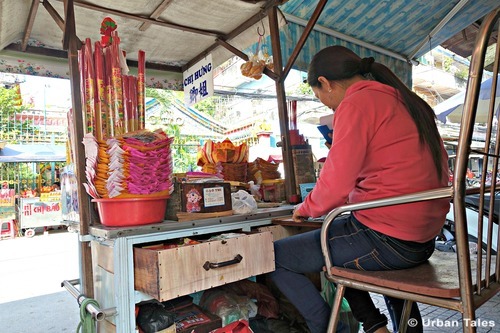 People can burn votive offerings at home after finishing ancestral commemorations, at pagodas and temples after completing rituals, at funerals and on death anniversaries. 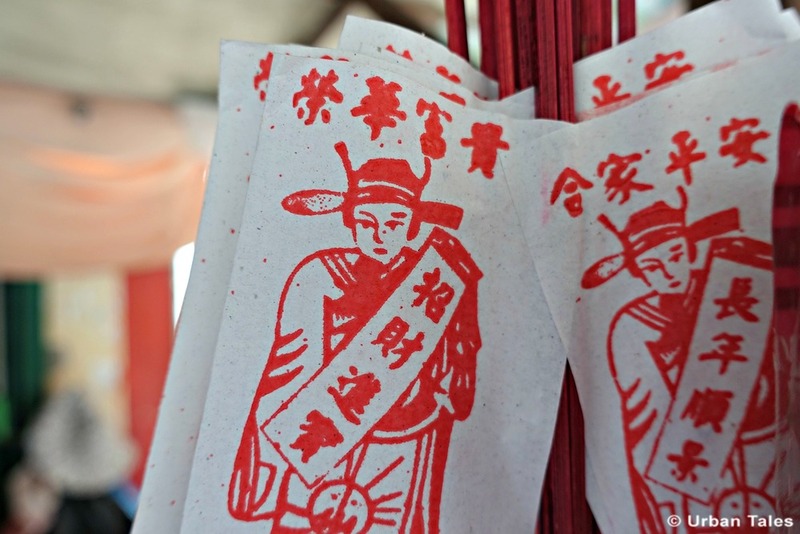 Key dates for offerings are on the first day and 15th day of each lunar month, especially on the 7th month of the lunar year. This practice originates from the idea that in Vietnam, death is not the end of someone’s life, but just another state. Burnt votive offerings are meant to be sent for the dead to use in the afterlife. Usually, votive items represent valuable objects (money, clothes, houses, cars…). It’s as if the deceased could still enjoy material life in his new state of being. 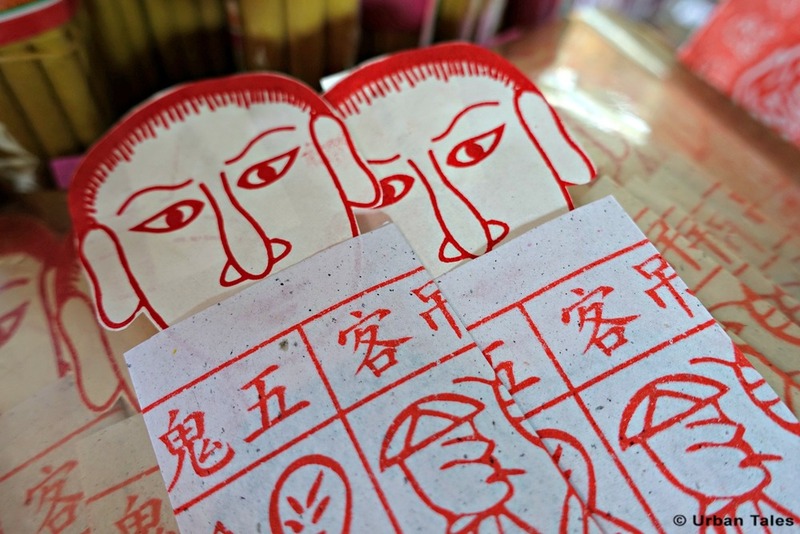 Votive papers actually symbolise the link between life and death. 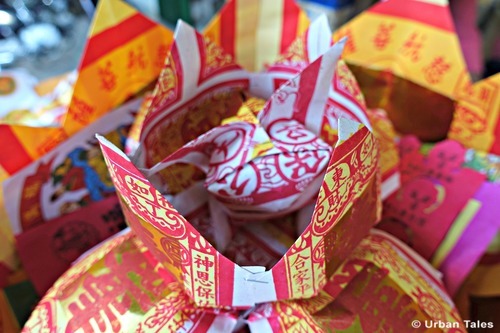 Votive papers can also be used and burned for the sake of living people or for daily matters like better results to your exams, better revenues for your business, to get rid of some disease or more generally to bring safety, happiness and good luck to your loved ones. It is said that Vietnamese people burn thousands of tons of votive paper every year, which of course, doesn’t have a very good effect on the environment. 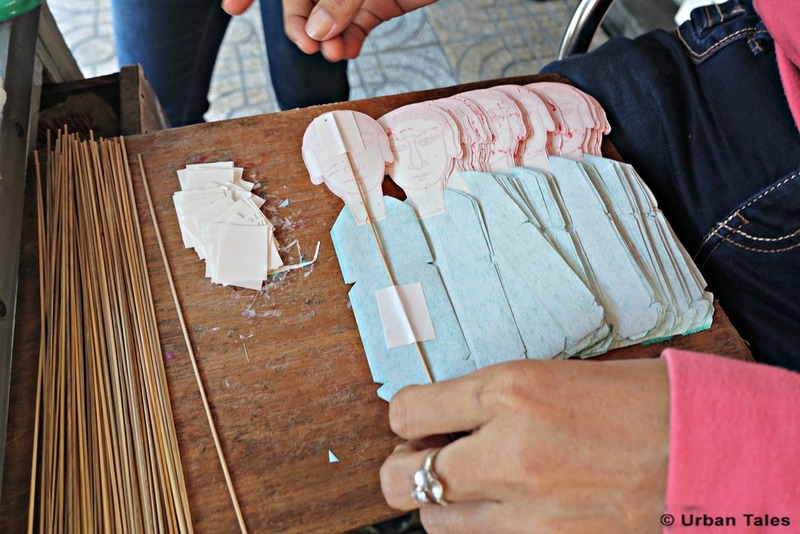 In the past few years however, local medias mentioned that burning votive paper offerings would be gradually eliminated in Vietnam. But being such an old tradition, burning votive paper will take time before completely disappearing. Although younger people nowadays do not really believe in the importance of burning votive items, they still tend to do so in order to follow superstition beliefs and not to take any risks, following their parents’ traditions. 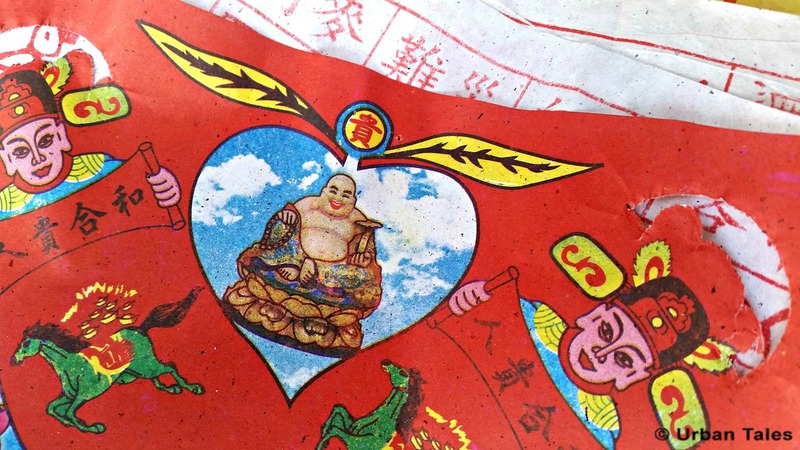 Those votive papers are usually made from rice paper or coarse bamboo paper and they can be purchased for a small fee on the sidewalk or in front of pagodas. Its represents a person or a servant who protects you and grants your prayers and wishes, on whatever matters you pray for. 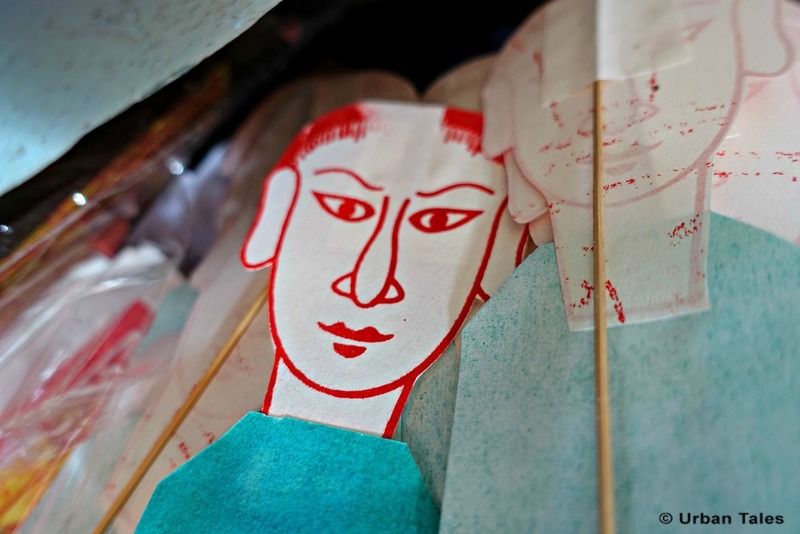 On each piece of paper, you can see 100 faces of “thế nhân”, which means that “thế nhân” is everywhere, no matter where you are. He follows you and blesses you for all the things you do in your life. For example, if you’ve just open a business, you should burn this kind of votive paper in front of your business so it can help make it grow. It is called “thế nhân 4 góc” (thế nhân in 4 corners): it means that no matter where you are in the world, there is always someone following you and protecting you. In this special pagoda, people come to worship the Goddess of Mercy, whose full name is “Quán Thế Âm Bồ Tát” which literally means: a being full of compassion who listens to the cries of the world and saves people. This goddess can see and understand human being’s sufferings and can save them. She’s usually sitting on a lotus flower (that’ s why people use lotus shaped votive paper to worship her) and is a very popular caracter in Vietnam. If you want to buy some votive papers, book our self-guided tour and come investigate the strange case of Dr Lam!